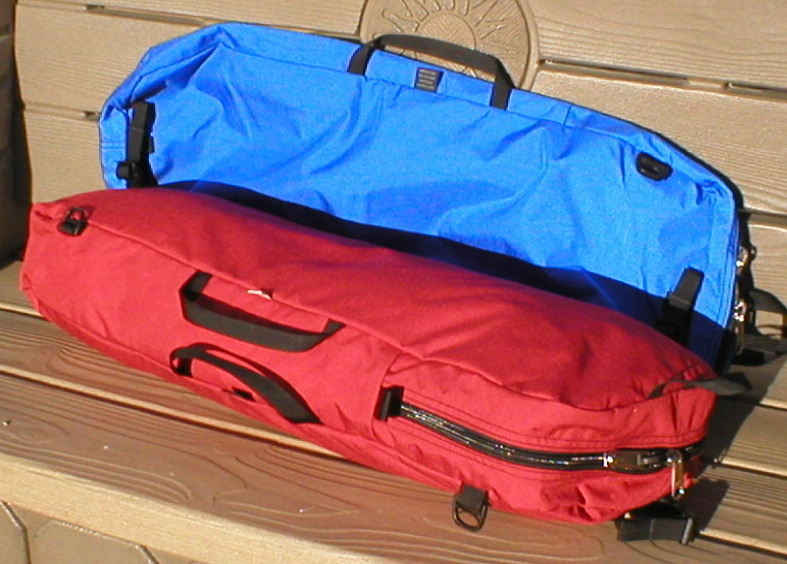 Our customers have asked us to provide a convenient way to carry, protect and store the trekking poles when not in use. We have produced a straight forward and durable pack that will meet all of these needs. It will carry at least two pair of your poles in the extended position up to 130 centimeters in length. The full length zipper makes it a snap to get them in and out. Handle with palm grip. Attachment points for a shoulder strap. Full length zipper. End handles/hanging loops. Holds at least two pair of poles up to 130 cm in length. Made in the USA of American materials. 1000 Denier Cordura. #9 Heavy duty YKK Zipper. Taped and double stitched seams. Reinforced stress points. Nylon webbing. High-strength Fastex hardware. Length - 54"; Width – 6-1/2"; Depth – 1-3/4"